It’s time to think green with most everything you do, especially considering the fact that Earth Day is only two days away (April 22, 2010). So, take that home remodeling project to the next level by incorporating green features, like ENERGY Star appliances, water conserving facets and eco-friendly countertops. It may be somewhat shocking to discover that non-energy consuming products can be green, but it’s true. In fact, most everything you include in your home renovation, whether a functioning appliance or not, has a green alternative for you to use. When it comes to kitchen countertops, some of the most eco-friendly are the reclaimed wood countertops from the Heritage Wood collection. This entry was posted in Featured, Green Design Trends and tagged Construction Resources Inc., green countertops, green remodeling project, reclaimed wood countertops on April 20, 2010 by Carol Morgan. Spring is the season for cleaning and home maintenance. It’s time to clean out the garage, organize the closet and just give your home a full-on makeover. For those that are using their tax returns for a home remodeling project, Sterling Custom Homes, a luxury custom home builder in Austin, wants to encourage you to invest in energy efficient features. Why should I spend the extra money upfront for these energy efficient features? It’s better for the environment! This is a no-brainer when it comes to investing in green features. Our natural resources are running out quickly, and we need to be much more conscientious about how we are using them. You will significantly reduce your carbon footprint just by incorporating a few green features into your home. You’ll save money in the long run. Yes, it may be more out of your pocket upfront, but once you start seeing your monthly utility bills decreasing, you’ll realize how you actually come out ahead. Increases your home value. Homes with energy efficient and green features are worth more, and they are also more desirable to home shoppers. Tax credits – the government has many different tax credits for you to claim for all of your energy efficient and green features. The trick though, is that you cannot just choose any home remodeler and think they know what they are doing when it comes to building green. At Sterling Custom Homes, Duke McDowell and Vick Pope have both earned their Certified Green Professional designation from the NAHB. We also have other staff members working towards achieving this prestigious designation. Earning the CGP title requires many hours of education as well as continuing education, to stay up-t0-date with the latest green building products and technologies. From energy-efficient appliances to water-conserving faucets and everything in between, we would be delighted to help guide you in your green home renovation (at least for those in the Austin area). The materials and techniques of home construction are changing to favor a more sustainable product, and it’s time that you adapted with the industry. 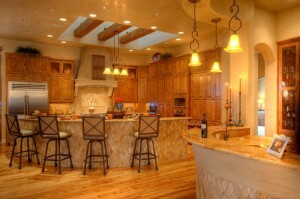 This entry was posted in Energy Efficient, Featured and tagged Austin home remodeling, certified green professional, custom home builder in Austin, energy efficient home benefits, green home renovation, sterling custom homes on April 8, 2010 by Carol Morgan.